When you come to Keystone, Colorado you come for the great outdoors. Whether it’s winter, spring, summer or fall, there’s always an adventure to be had and Summit County Mountain Retreats hopes to be of service when planning your adventure. We have developed relationships with several businesses in the Keystone area so that we can offer discounts to our guests on their behalf. Whether you need transportation to and from the airport, a fully stocked refrigerator upon arrival or a great deal on equipment rental, we have discounts you can actually use. Click on any category below for more information and how to receive your discount. Mountain View Sports is a ski shop offering the latest ski equipment. It is located right next door to Summit County Mountain Retreats. They are a locally owned business operated by life-long skiers and boarders that love mountain sports. They strive to provide you with the best customer service because they care about your vacation experience. In addition, they do their best to keep these sports affordable by offering reasonable rates, and in most cases, the lowest rates in the area. During non-peak times kids ski free. For more information on how guests of Summit County Mountain Retreats can receive a 25% discount contact our staff or refer to the email you received after booking. Receive one JR SKI RENTAL at no charge for each parent that rents a FULL SPORTS PACKAGE or above. UPGRADE to JR. SNOWBOARD or JR. PERFORMANCE SKIS for ONLY $8/DAY! Perhaps you’re looking for convenience when it comes to the ski rental process? If that’s the case, Ski Butlers is a great choice. Ski Butlers is a full-service ski and snowboard shop. Rather than waiting in line at a busy ski rental shop, have Ski Butlers deliver your equipment and get fitted in the comfort of your accommodations. If there are any issues during your rental, Ski Butlers will meet you to fix those problems anywhere that is convenient for you (even on the mountain!). On the final day of your rental, Ski Butlers will meet you at your accommodations, or at a time and place of your choosing, to pick up the equipment. Ski Butlers employs a well-trained staff that is there to meet your needs. Each new employee begins with 40 hours of orientation. Bonuses are earned for great customer service and for volunteering in the local community. We also partner with Rossignol and Smith Optics to offer the best rentals, and this partnership allows us to refresh our inventory more often than any other ski shop. For more information on how guests of Summit County Mountain Retreats can receive a 20% discount contact our staff or use the online portal. Another option for equipment rental is Snowdance Sports in Keystone. Since 1977 Snowdance Sports, a locally owned boutique ski/snowboard shop has taken pride in bringing guests high quality ski rental packages, as well as the best service anywhere! Our overnight ski tuning is the finest available and we specialize in hand shaping and finishing your skis. For more information on how guests of Summit County Mountain Retreats can receive a 20% discount contact our staff, or reach out to Snowdance Sports at 970-468-9049 or use the online portal set up for our guests. Summit Express focuses on customer safety and service, and they credit that for their success. Their drivers undergo a rigorous training program so they’re prepared for mountain conditions. And they offer the following at no charge: child seats, boosters, bottled water and wifi. They also offer personal DVD players; all you need to do is ask during booking. 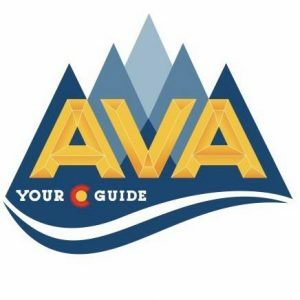 Door-to-Door Scheduled Shuttle Service: They have regular departures between Denver International Airport and Summit County, and they pick up or drop off at the lodging of the guest. During the peak season, they have 14 airport and 14 mountain departure times each day. Visit their website to view the schedules for the whole year. Private Charter Service: If you’re traveling at odd hours, visiting during the off season, are with a group, or just want to ride alone, scheduling a private charter is for you. They are waiting at the airport, so as soon as you retrieve your luggage you’re ready to go. Included in the price is a one-hour wait time, which can be used as a grocery stop along the way. This service is available 24 hours day. For more information on how guests of Summit County Mountain Retreats can receive a 10-20% discount contact our staff or use the online portal. Summit County has hundreds of scenic miles of single track and paved bike paths through designated national forest lands. Mountain View Sports has a selection of bikes that will meet the needs of anyone in your party. They also offer a Vail Pass Bike Shuttle that allows you to experience Summit County while on a bike tour. They offer three different tours, depending on your fitness level and ability, and they leave at 9 a.m., 11 a.m. and 1 p.m.
For more information on how guests of Summit County Mountain Retreats can receive a 10% discount contact our staff or refer to the email you received after booking. Summit Home Services helps you maximize your time on the mountain by avoiding the busy grocery stores. Enjoy the convenience of having a refrigerator that is stocked with oven ready meals, groceries and/or beer, wine and liquor when you arrive. No need to deal with busy grocery stores and driving conditions. Enjoy your vacation the way you’re meant to! If you’re ready to put together your order form, click here. You can read through the instructions (although this page says “Breckenridge” they do delivery groceries throughout all of Summit County) and then scroll down to start putting together your grocery list. When your list is complete, click check-out and fill out the necessary information (the address for your vacation rental can be found on our website, or you can input just the unit name along with the city and state). Summit Home Services also offers Christmas tree delivery including decorating services. Enjoy your holiday in the mountains with all festivities of home. Learn more here. Summit Home Services does not offer any discounts. Arkansas Valley Adventures Rafting & Zipline is your Colorado Guide for rafting and ziplining at 3 locations across Colorado. AVA Rafting & Zipline strives to provide an exceptional and professional experience for their guests. Their friendly and knowledgeable staff, combined with their informative website, work to ensure that you will find the trip that is right for you. They offer guests of Summit County Mountain Retreats a discount on rafting, ziplining, rock climbing, paddleboarding and gear rental at their Kremmling, Idaho Springs, and Granite/Buena Vista outposts. KODI Rafting is located in Frisco and they offer thirty rafting trips on six Colorado rivers, as well as inflatable kayak trips. Whether you’re looking for a scenic family float or a whitewater rafting challenge, KODI Rafting is a great choice as it’s been voted “Best of Summit County” nine times in the Summit Daily News poll. Guests of Summit County Mountain Retreats receive a 10% discount. For more information on how guests of Summit County Mountain Retreats can receive a discount contact our staff or refer to the email you received after booking. Corpus Sanus Spa is a day spa in Summit County where you can feel good, relax and focus on your health. They offer a variety of massages including traditional massage as well as hot stone, couples, prenatal and Ashiatsu massages. They also have salt/sugar body scrubs and customized facials, microdermabrasion and chemical peels. And their traditional Scandinavian hot stone sauna is an ideal way to decompress, detoxify and rejuvenate your body. High Country Tours is located in Dillon, which is six miles from Keystone. You can drive to their office, or they can pick you up in Keystone, whichever you prefer. They offer snowmobile tours and rentals. Guests of Summit County Mountain Retreats receive $5 off a single snowmobile tour and $10 off a double. New Moon Café is located in the heart of River Run Village. Why drive when you can walk and have a delicious breakfast, lunch, or dinner? Dine in or bring it back to your condo. Our guests will receive 10% off when showing your keycard at the time of ordering. Visit their website to view the entire menu. 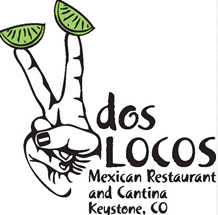 Dos Locos Mexican Restaurant is a locally owned and operated family restaurant in Keystone, Colorado. We feature fresh quality Mexican food, excellent margaritas, a wide selection of beers, and the best happy hour in town. Dos Locos offers our guests a free 12 oz. margarita with a purchase of an entreé. Just show your waiter you keycard and ask for your free drink. Every Thursday we have Karaoke night. Music starts at 9:45 PM with Ladies Night drink specials along with specials for the men too. Whether you’re looking for delicious food or a cold beer, The Haywood Café has it all. They’re Keystone’s only sports grill featuring 12 HDTVs, personal speakers for every table and every sports channel you could possibly imagine. You’ll also find just about anything on their menu, from Pulled Pork Benedict to the best Cheesesteak around. Their breakfast menu is served until 3 p.m. daily. Make sure you check out their Happy Hour from 3 p.m.-6 p.m. where you’ll find great discounts on food and drinks! Show your keycard to receive a 10% discount on food and drinks! Don’t feel like going out? Why not order the best pizza in Keystone and have it delivered? Pizza 101 offers brick oven-fired hand-tossed pizza, calzones, strombolis, salads, cheese sticks, wings and drinks. Mention you are a guest of Summit County Mountain Retreats when ordering and show your keycard to the delivery driver to receive 10% off your entire order. Pizza 101 is open daily from 11:00 a.m. to 10:00 p.m.
Two Below Zero offers dinner sleigh rides and summer dinner chuck wagon rides. Trips depart from the Frisco Nordic Center. 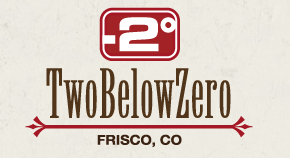 They were featured on The Travel Channel with Samantha Brown as one of the top things she did while in Colorado. Silver Flask Fishing is owned by George Peebles, an experienced and passionate angler for over 20 years. He has studied Lake Dillon and also spends time volunteering in the community. He recently became the leader for a local 4H chapter. It is his mission to provide quality tours tailored to meet the needs of the individual or group on the tour. Guests of Summit County Mountain Retreats can receive a complimentary custom fly package tied by George himself for fly fishing trips or a $50 discount on an ice fishing trip. Cutthroat Anglers is the premier fly shop and guide service in Colorado. It is their mission to provide the finest quality fly fishing products, instruction, and personal service. They are 2013 and 2014 ‘Best of Summit’ contest winners and hope to continue providing the best in fly fishing for years to come. Guests of Summit County Mountain Retreats receive a complimentary fly package when they reserve a half or full day wade trip or one of their float trips. And for those heading out on their own, take advantage of the 25% discount on equipment rental. Breckenridge Stables offers trail, sleigh and carriages rides. On a trail ride you’ll explore river crossings, beaver ponds and breathtaking panoramic views on the Ten Mile range above Breckenridge. Trail rides are available spring, summer and fall, and with over 100 horses, they’re able to match each rider to a horse based on the rider’s ability and age. During the winter, come ride one of their custom built mountain sleighs drawn by a team of Belgian or Percheron draft horses. Bundle up in a warm blanket while sleigh bells ring out a tune in the crisp mountain air. They also offer horse-drawn carriage rides through historic downtown Breckenridge. There’s no better way to slow down and relax. For more information on how guests of Summit County Mountain Retreats can receive a $5 discount contact our staff or refer to the email you received after booking.